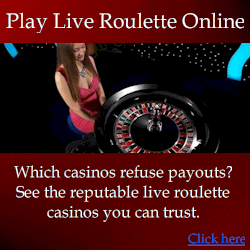 This is simply roulette-advantage.com under a different domain name and with a few other changes. The site is different again since the last screenshot left. It’s the same scam. You are told various lies about roulette and then presented with a strategy that apparently only works with four different casinos. The strategy itself is once again nonsense. The aim of the promoter is to have you join specific casinos so he/she can get commissions. Many people have contacted me about this and other similar scams. 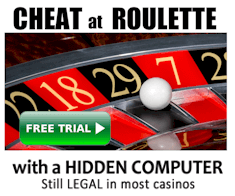 VERDICT: Simply deceptive casino promotion and fraudulent advertising.